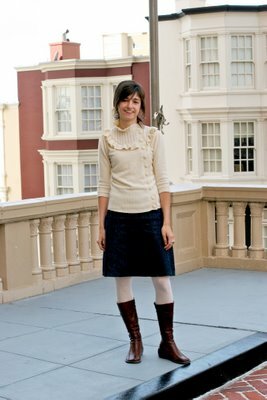 "I think my inspiration was trying to look summery and kind of professional even though it's San Francisco in the summer, so it wasn't warm out. If you care about this stuff: the boots are by Miz Mooz. She makes great shoes that are super comfortable and affordable. The sweater was from Delia's. It's embarrassing that I shop at Delia's since it's marketed towards teenagers, but they occasionally have some cool stuff." 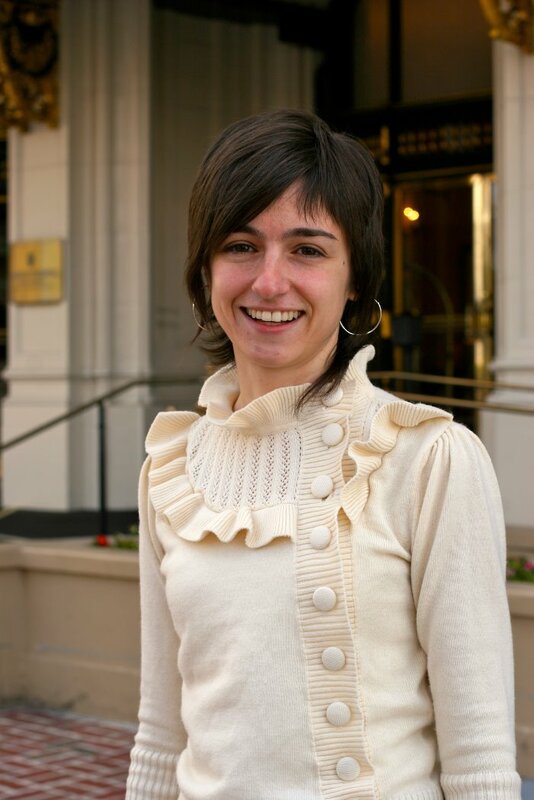 I love her ivory (white) sweater. I also, have a weakness for denim skirts that are the perfect length. 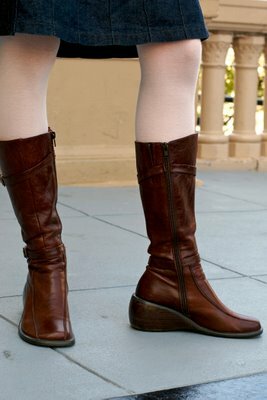 A look at her white tights and leather boots. That sweater is from Delia's?! Wow, I love it. I love the textures and tones she has going on here and the white tights are a great choice.